The Amherst swivel dining stool has a modern feel with its smooth, rounded back that gracefully tapers up from the round seat. The top rail has movement both in its curved shaped and in its slightly dipped center. 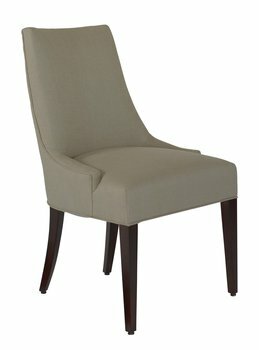 Welt trim accentuates the overall shape of the back. 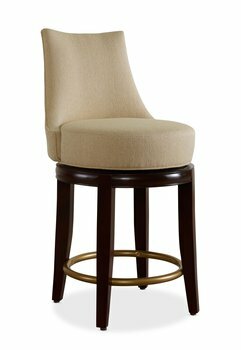 The tightly upholstered round seat attaches to the base by memory swivel. 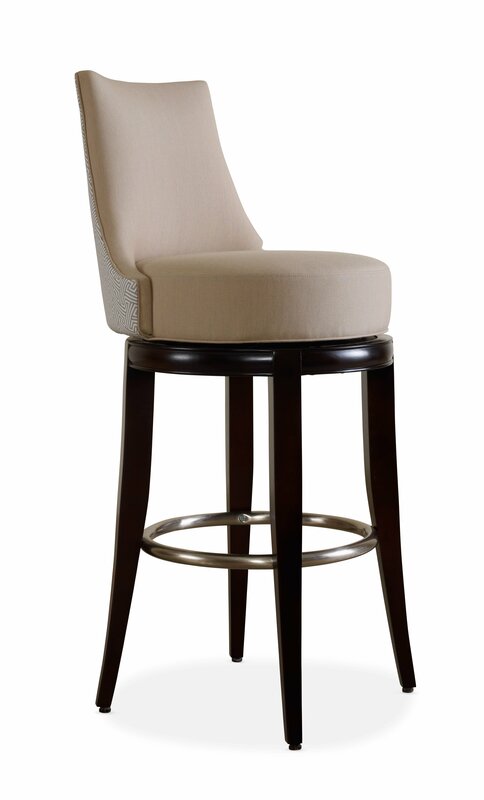 The round, exposed wood base with tapered legs and metal foot ring completes the sleek, clean look of this stool. The metal foot ring is available in three color choices – Brass, Bronze and Satin Nickel.